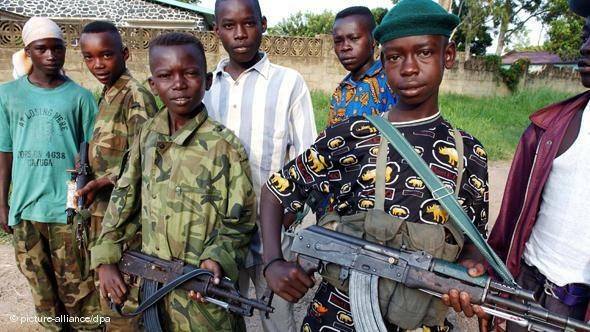 The Third Congo Civil War—also known as Africa’s World War—was a five-year conflict that occurred primarily in the Democratic Republic of the Congo (DRC). Nine African countries eventually became involved in the war other than the DRC: Angola, Chad, Namibia, Zimbabwe, Sudan, Uganda, Rwanda, and Burundi. The Third Congo Civil War became the deadliest conflict since World War II. An estimated 5.4 million war-related deaths occurred and more than twice that number were displaced from their homes and sought asylum in neighborhood countries. The Third Congo Civil War evolved out of Laurent-Desire Kabila’s victory over Mobutu Sese Seko in 1997. Once Kabila became president of the DRC, his relations with previous allies like Rwanda and Uganda quickly deteriorated. In July 1998, Kabila ordered all officials and troops from Rwanda and Uganda to leave the country. Instead on August 2, 1998, those troops began supporting rebels who were intent on overthrowing Kabila. Two days later, Rwandan troops flew directly from their nation to the DRC province of Bas-Congo (now Kongo Central) which the intention of joining other Rwandan and Ugandan soldiers and march on the capital of Kinshasa. Their goal was to drive Kabila from power and replace him with leaders from the Congolese Rally for Democracy (RDC). The Rwandan attempt to overthrow Kabila was prevented by the intervention of Angolan, Zimbabwean, and Namibian troops. The leaders of these nations, while not strong supporters of Kabila, nonetheless feared a precedent when foreign troops invaded another nation to overthrow its government. Rwandan soldiers and the RCD withdrew to the eastern DRC and began a long campaign against the DRC Army and its new foreign allies. In February 1999, a new rebel group called Movement for the Liberation of the Congo (MLC) backed by Uganda formed in that nation. They allied with the RDC and the Rwandan troops and invaded the eastern Congo in August 1999. At this point two rebel groups challenged the Kabila-led Congo government and five African nations had troops fighting in the county. Three nations—Angola, Zimbabwe, and Namibia—supported the Congo government while Rwanda and Uganda opposed that government. By the end of the summer of 1999, two rebel factions backed by the Rwandan and Ugandan Armies and their Hutu militias, controlled much of the eastern Congo. While the fighting was going on, cease-fire talks began in July 1999 in Lusaka, Zambia. A cease-fire agreement was signed among the warring factions in August 1999 called the Lusaka Accord. None of the factions, however, keep their promises made at Lusaka and the fighting continued. On January 16, 2001, DRC President Laurent-Desire Kabila was assassinated by his bodyguard Rashidi Muzele in Kinshasa. Kabila’s son Joseph Kabila succeeded him as president of the DRC and began new negotiations with the warring factions to end the fighting. On April 2, 2003, the Pretoria Accord was finally ratified in Sun City, South Africa. Within months Rwandan, Angolan, Namibian, Ugandan and Zimbabwean troops withdrew from the Congo. Two months later on July 18, 2003 the war was over. “Third Congo War,” Global Security, https://www.globalsecurity.org/military/world/war/congo-2.html; “Third Congo War,“ Enough, https://enoughproject.org/blog/congo-first-and-second-wars-1996-2003; The Economist, https://www.economist.com/node/1213296; Tom Cooper, Great Lakes Holocaust: First Congo War (Solihull, England: Helion and Co, 2013); Gerard Prunier, Africa’s World War: Congo, the Rwandan Genocide, and the Making of a Continental Catastrophe (Oxford, United Kingdom: Oxford University Press, 2013).